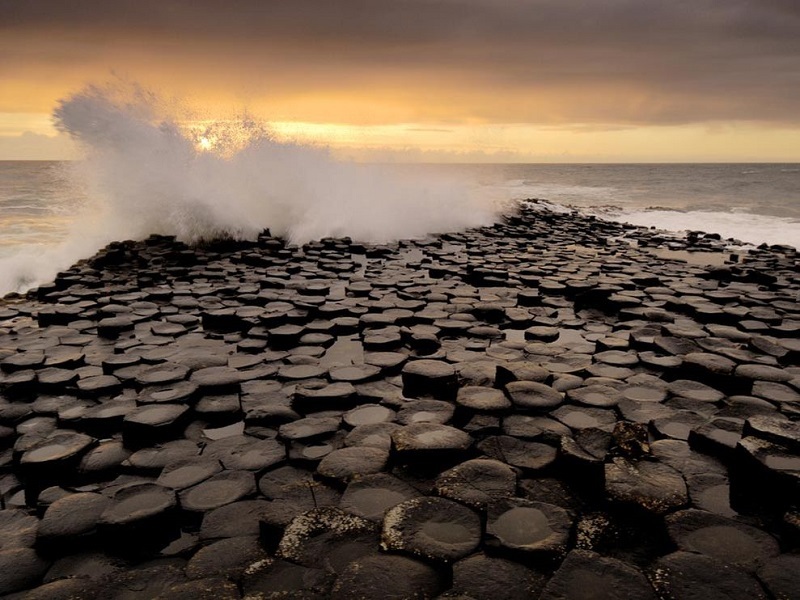 Nestled next to the Atlantic Ocean, the Giant’s Causeway in Ireland is easily one of the most incredible, bizarre natural wonders in the world. 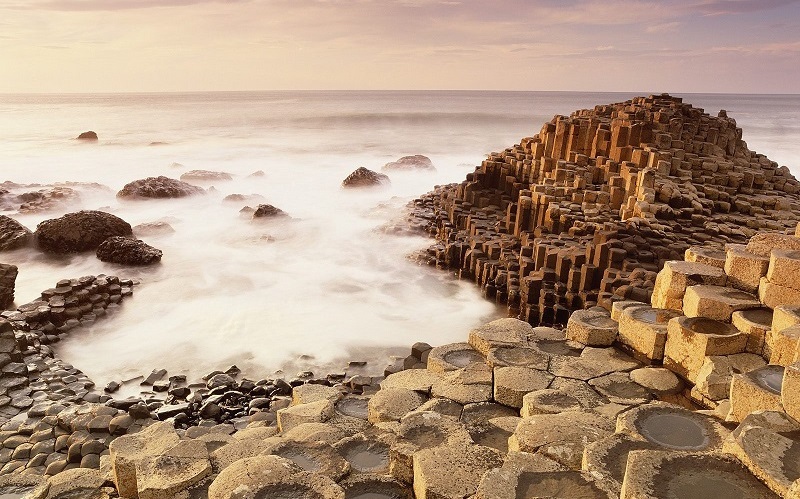 The Causeway is home to more than 40,000 columns, most of which have six sides and form a honeycomb-like pattern. 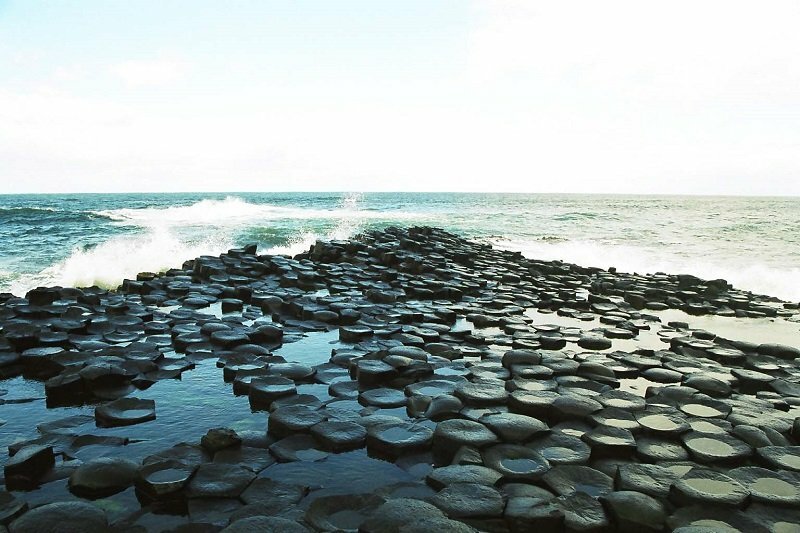 Giant’s Causeway wasn’t always the spectacular tourist hotspot it is today, though. 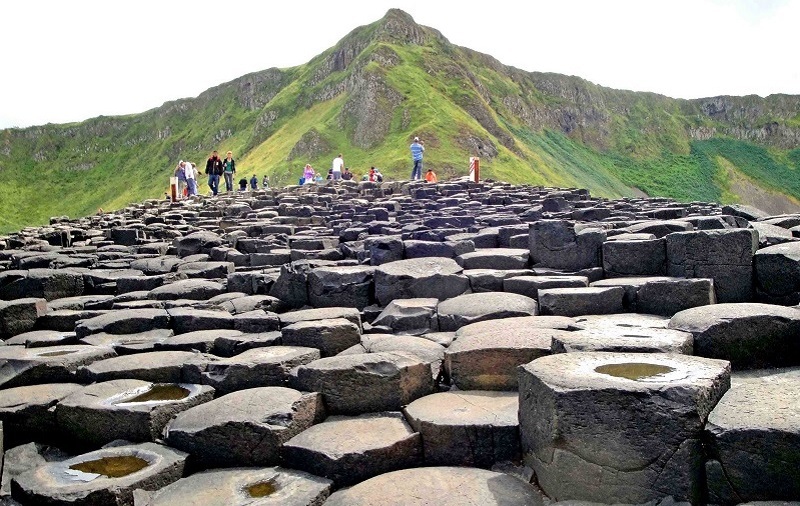 Created from cooled magma, it took nearly 60 million years of erosion for the columns to be visible. 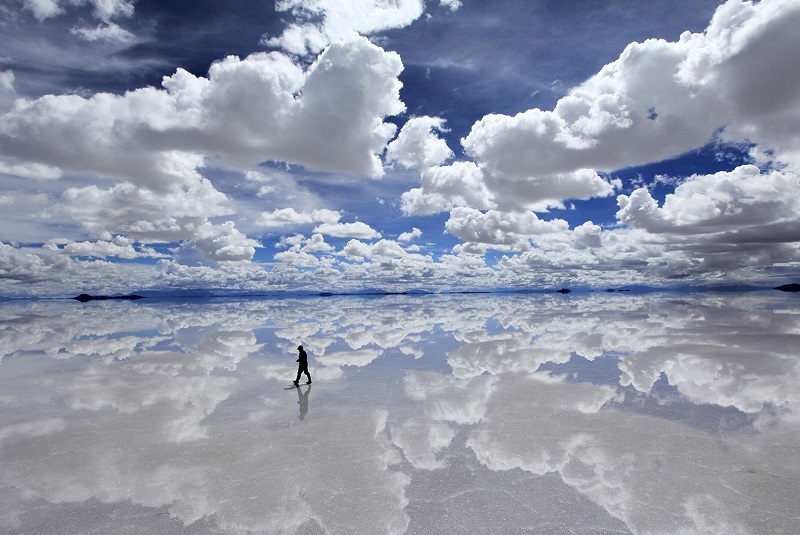 Scientists believe that they were finally revealed after the last Ice Age, around 15,000 years ago. 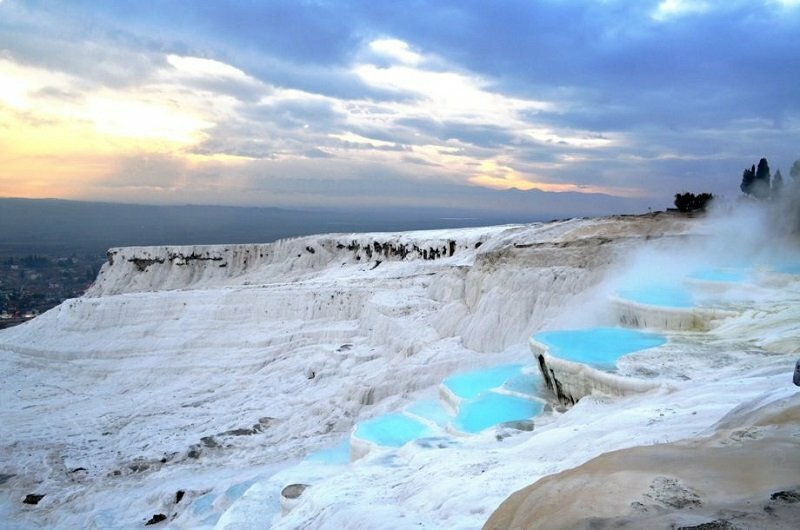 Take a trip to Turkey’s inner Aegean region near the River Menderes Valley and you’ll encounter Pamukkale’s thermal springs. 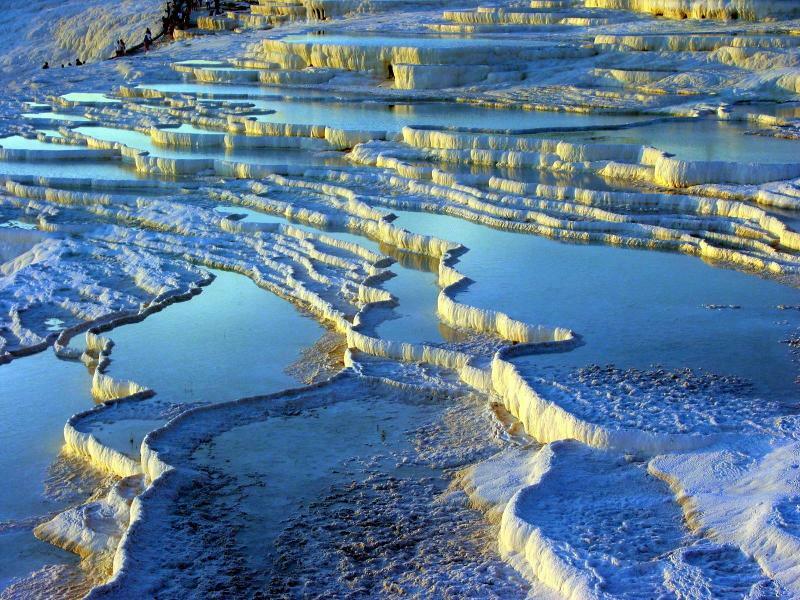 People have bathed in these hot mineral-saturated waters for thousands of years, dubbing the area Pamukkale, or cotton castle. 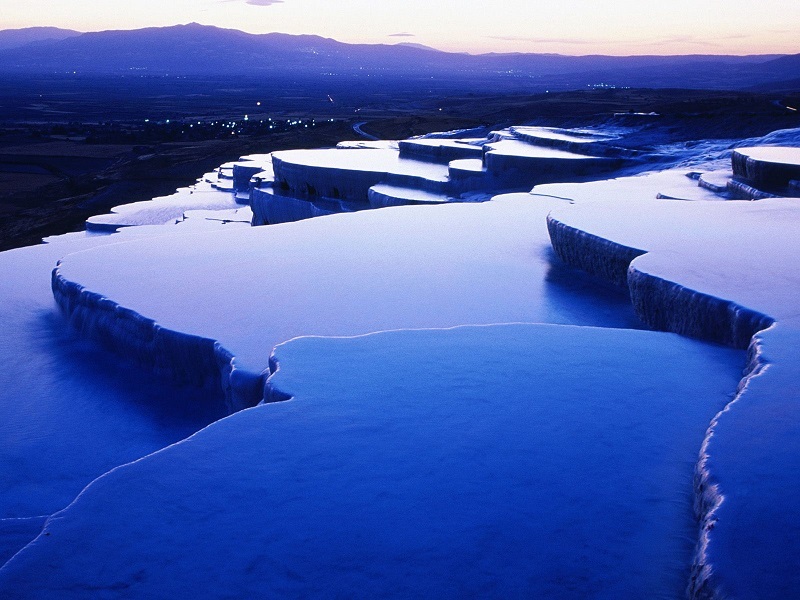 The scallop-shaped basins of water and frozen waterfalls decorate the area’s cliffside. 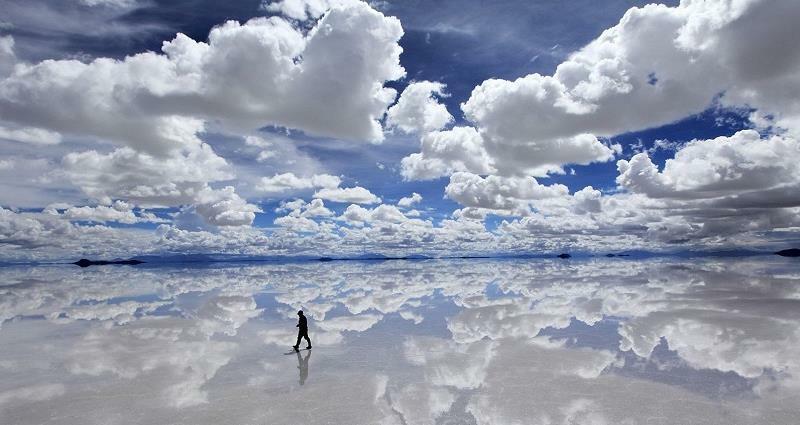 Here, the spring water is hot and high in calcium, magnesium sulfrate and bicarbonate. 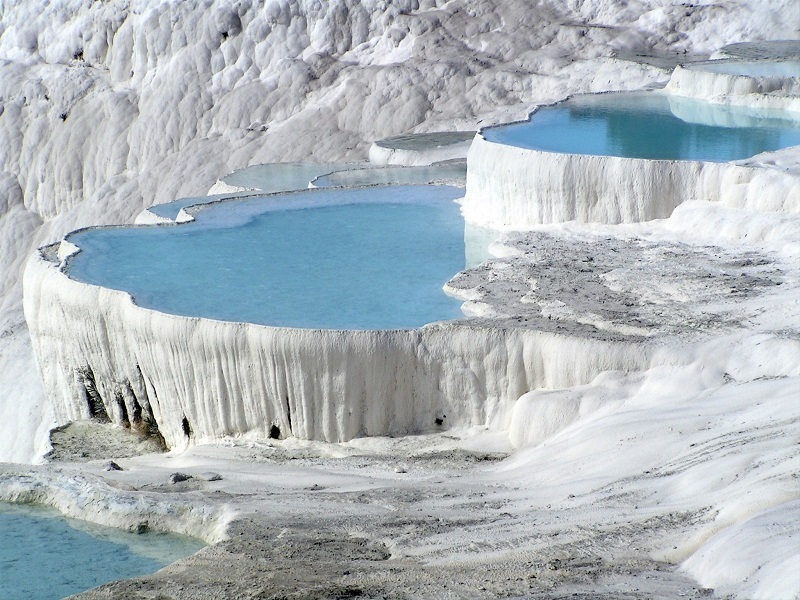 The Pamukkale hot springs flow at a rate of 400 liters per second, with their mineral-saturated flows forming its hollow, circular basins all the while.